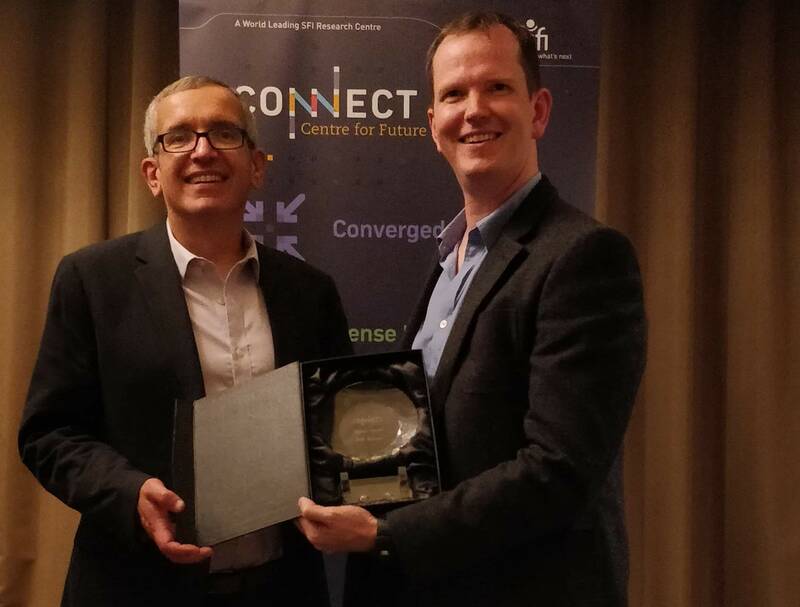 QxLab’s Dr Andrew Hines accepted the inaugural CONNECT Research Impact Award in recognition of a technique, developed in collaboration with Google, which is now used to assess the audio quality of YouTube’s most popular videos. He was presented with the award by CONNECT Director, Prof. Luiz DaSilva. 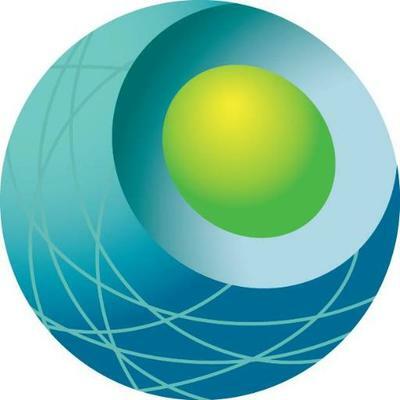 CONNECT is the Science Foundation Ireland research centre for future networks and communications. Dr Hines, a Funded Investigator at the centre. “This area of research is called ‘Quality of Experience and it is a key pillar in CONNECT’s research platform,’” Andrew explains. 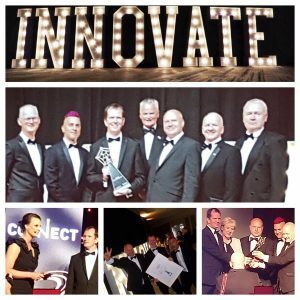 “The research leading to this development was conducted during my time in UCD, DIT, and Trinity College Dublin. As part of the SFI 2018 PhD Recruitment Programme, Dr Andrew Hines, who joined Insight@UCD as a funded investigator during the summer, has recruited Alessandro Ragano as a PhD student. After completing his MSc at Politecnico di Milano, Alessandro spent time as a research assistant at Fraunhofer IIS. He will be co-supervised by Dr Emmanouil Benetos of the Alan Turing Institute and Queen Mary University of London (QMUL). As part of his PhD programme Alessandro will be spending one year in London at the ATI headquarters next door to the British Library. His research will investigate using data-driven quality prediction models for digitally restored audio archives. Welcome to QxLab and Insight@UCD Alessandro. Does video influence our perception of audio quality? 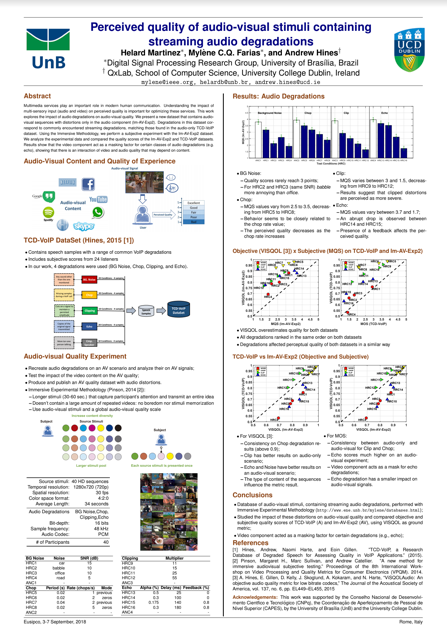 Helard Martinez research on “Perceived quality of audio-visual stimuli containing streaming audio degradations” was presented at EUSIPCO in Rome, Italy. The paper will be published via IEEExplore.